SUMMARY: Set against the backdrop of early 20th-century San Francisco during the heyday of such legendary illusionists and escape artists as Harry Houdini, this thoroughly entertaining debut by an amateur magician with an M.F.A. in creative writing is a fanciful pastiche of history, fantasy and romance. 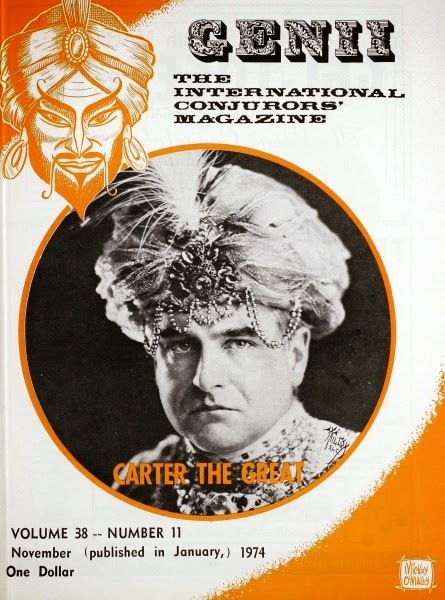 The plot turns around the questionable circumstances surrounding scandal-beleaguered President Warren Harding's unexpected death on August 2, 1923, shortly after appearing on stage with the magician Carter the Great in San Francisco. Marvelously layered between flashbacks romanticizing the real Charles Carter's early years on and off the stage, the saga has the dash of Harold Robbins and the sweep and erudition of E.L. Doctorow. 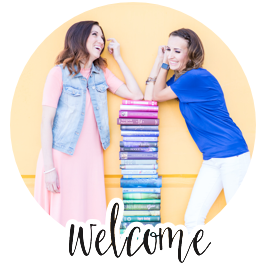 As it unfolds as both mystery and historical romance, readers, long before the conclusion will be torn between the pull of the suspense and wanting the epic to go on forever. **Don't forget to read ACT I and ACT II or our Carter Beats the Devil book club meeting if you haven't already! What were our overall thoughts on the book? 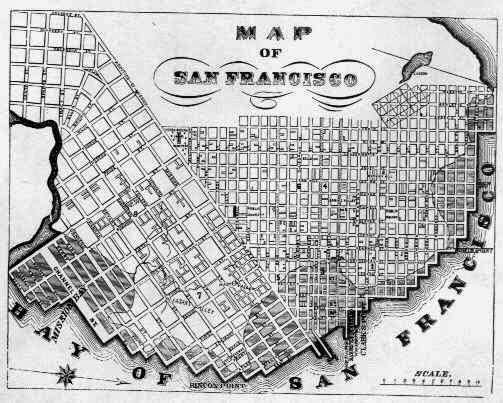 This story stirred up a special memory for her and her sweetheart in San Francisco and did the same for the rest of us in other various ways. For some Carter Beats the Devil is now their favorite book of all time. For others it's a reason to read the book all over again and discover all the little secrets and mysteries we missed the first go around. It was apparent that Glen David Gold poured his heart and soul into the research of the book and his attention to detail is what makes this historical fiction such a joy to read. The 4.5 start review speaks for itself. It might have started off slow in the beginning, but definitely worth the wait and 600+ read to get to an incredible ending, or should I say...endings? Who was our favorite character? Like Carter, we were drawn to Annabelle and Phoebe, both extremely strong and independent women. Unfortunately, we were not able to see into Annabelle and Carter's relationship as deeply as we would have liked, but author had a lot of story to tell and focused more on Phoebe and her influence on Carter. It was Carter's entire goal and lifelong career to bring wonder and excitement into other's lives with his performances and his magic, and what better character than Phoebe to give that to Carter in return...ironically, the one person who could not fully enjoy and experience Carter's illusions. After the tragedy that Carter experienced and not wanting to admit how broken and numb he was, each new moment he had with Phoebe was like awakening a new sense, and hearing, feeling, and smelling his surroundings for the first time. "It was still a sunny day, a little humid and breezy, and Phoebe walked with her head tilted slightly upward, as if to catch both the sun and every scent. Carter closed his eyes too. He heard calliope music and shouts from distant rides, and he smelled popcorn and burned sugar." The descriptive details that the author gave were beautiful and for a character to have a full sense missing, to the reader, it didn't feel like anything was missing at all. The horror that Carter and his brother experienced as children at the hand of the gardner while their father was away on business was difficult to stomach. Children being physically abused and neglected was painful to read about. Some mentioned that it wasn't a necessary part of the story and were confused at how it related, but after some discussion it was apparent this event changed Carter forever. 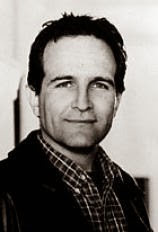 Carter used magic as a way to turn back the darkness and made it his goal in life to bring happiness and wonder to his friends and to his audiences. 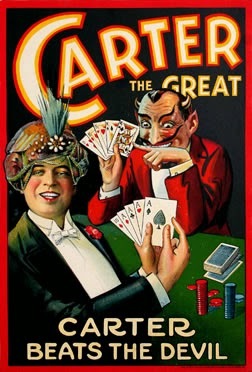 Because of his father's lack of belief in him as a child, Carter spent the rest of his life and career trying to prove himself and this seemed to drive his need to perform, to be trusted and believed, and to find his own way in life with the calling that took hold of him at such an early age. "It was in the words his father used that Charles found a swell of unexpected freedom. He wasn't just a rich man's son; he was a master conjurer. " What were some major themes throughout the story? "This is about keeping world peace. Forever. We set up captive balloons to carry the transmission signals around the globe. And if someone in Berkeley, California could sit in his house and see a man from Berlin, Germany, and how he eats his breakfast, how could they kill each other then?" 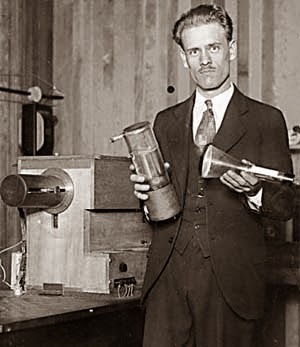 Philo Farnsworth, photographed by The Chronicle showing off his invention for the first time, didn't hold on to his patents, selling them to RCA Victor for $1 million in 1939. In our discussion, we wondered if Philo would have been disappointed in the way that television is being used today. The world has in certain areas strayed from his vision of peace and education and has used the television in ways that Philo had never even dreamed of. Elma Farnsworth: We were watching it, and, when Neil Armstrong landed on the moon, Phil turned to me and said, "Pem, this has made it all worthwhile." Before then, he wasn't too sure. 2.) 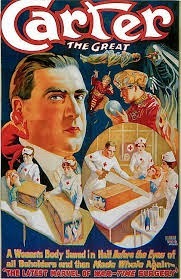 Impossible Escapes-- Even though Carter left the great escapes to Houdini, he showed time and time again his talent at getting himself out of impossible places under extreme amounts of stress. From the time he was locked in a torture chamber as a child, to the unlucky event he gets kidnapped and handcuffed in a packing crate, to finally his face with life, death, and the devil, Carter learns of his strength and will to survive within himself. The little mysteries built upon the bigger ones creating a large puzzle of "epic-ness "made beating the devil in the end oh so sweet in this hypnotizing story. Light prevailed over darkness and the intensity and the build up of the ending mixed with historical facts made for one fascinating adventure we won't soon forget. Glen David Gold was born on January 1, 1964. He is married to Alice Sebold, the author of The Lovely Bones and Lucky. The couple lives in San Francisco, California. His next novel, Sunnyside is based on the troubled genius that was Charlie Chaplin. His short stories, including "The Tears of Squonk," have appeared in a number of issues ofMcSweeney's. Gold wrote a single episode of the cartoon showHey Arnold, in which title character Arnold stages an amateur magic show and "disappears" his friend Helga, who escapes during the trick, causing Arnold and the others to think she really has disappeared. The episode aired in 1997. Gold has also ventured into comic books, writing a short story featuring Will Eisner's classic creation, The Spirit, the story, entitled 'One Hundred!' features artwork by Eduardo Risso and appeared in DC's The Spirit #13. Don't forget to read ACT I and ACT II or our Carter Beats the Devil book club meeting if you haven't already! Summer you did a fabulous job reviewing this book. Thank you for all the genius you put into this. This book was truly one to remember.